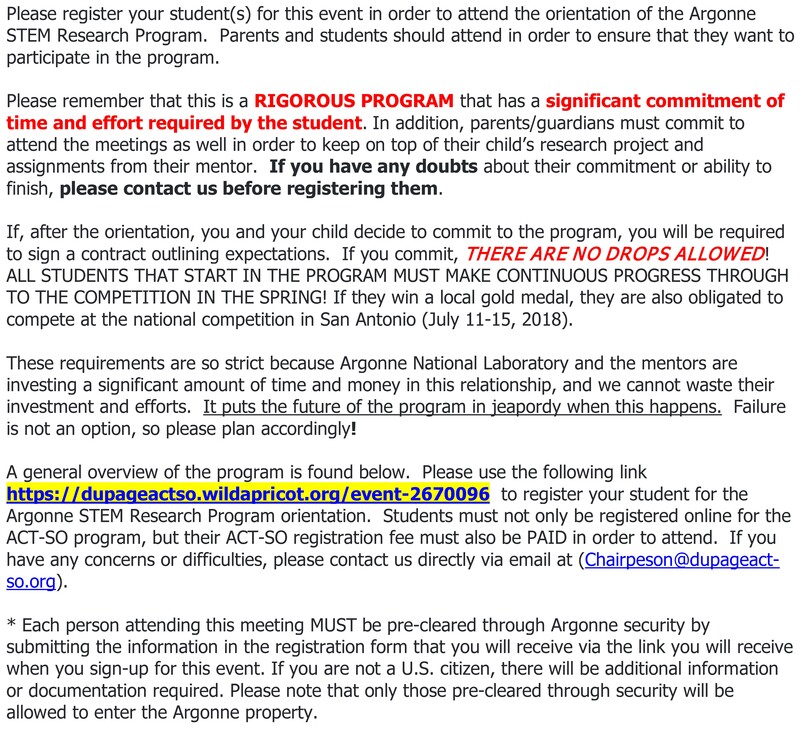 Link https://dupageactso.wildapricot.org/event-2670096 to register your student for the Argonne STEM Research Program orientation. YOU MUST SIGN UP BY THIS FRIDAY! !